In the winter season, local heating system has been launched. The demand of thermal power plant combustion of pulverized coal is growing, it is very important to provide high-quality, adequate pulverized coal for continued heating. The coal is mostly square block when it is mined. Coal crushing process is an important part of pulverized coal application system. In order to make coal resources used adequately, you must select high performance pulverized coal processing equipment. For the domestic and overseas pulverized coal market and application requirements, Liming Heavy Industry developed LM series vertical roller mill(Pulverized coal vertical mill). 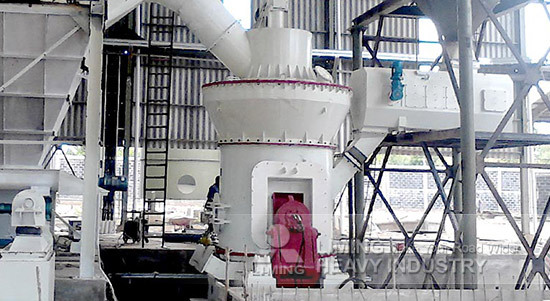 According to the technical engineer, Liming Heavy Industry LM vertical mill set fine crushing, drying, grinding, separator, delivery in one, high grinding efficiency, large capacity can meet the needs of environmental protection. And grinding fineness uniform adjustable(between 80-425 mesh). High quality finished pulverized coal improved the combustion efficiency and resource utilization. Meanwhile, LM Coal vertical mill system equipped with professional dust removal equipment, which can effectively control dust emissions, to ensure the production environment clean, meet the demands of national environmental production. Currently, Liming Heavy Industry has designed hundreds of large-scale pulverized coal vertical mill system for Guodian, Huadian, Huaneng, Northern United Power Plant and other domestic and foreign large-scale power plant. Customers said that equipment worked well, and compared with the traditional ball mill, it saved a lot of electricity consumption. They said they were very satisfied, and willing to believe Liming Heavy Industry!